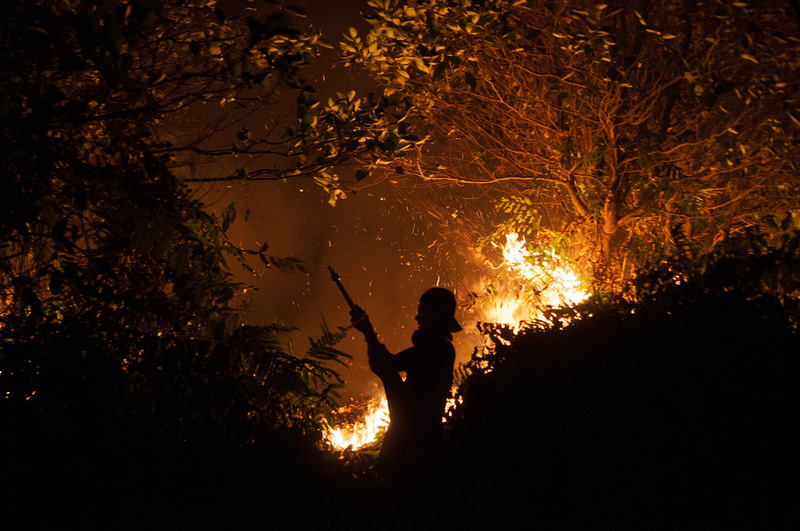 Recently, Indonesia has been combating its most severe forest fire of the decade. Around 43 million Indonesians have been exposed to hazardous fumes, and countless loss of biodiversity and ecosystem services has occurred. An estimated 1 billion tonnes of carbon emission has been released to the atmosphere. Within three months, Indonesia’s daily carbon emission has surpassed the average daily emissions of the whole US economy. Firefighters outside Palangka Raya, Central Kalimantan, 15 October 2015. Forest fires in Indonesia are closely related to unsustainable agricultural practices spreading out throughout the country. Indonesia is the world’s largest producer of palm oil, with 8 million hectares of plantation area. Other than its significant contribution to the economy, and broadly debated effects on the environment, oil palm is also regarded as a promising solution to the country’s effort to achieve energy security. The current administration has set ambitious targets to increase national biofuel production, and to consume it domestically. In this landscape of uncertainty and crisis, scientific support for Indonesian energy policy is more urgently needed than ever. That’s why it is one of our main focuses in the IIASA Tropical Forests Initiative (TFI). “Scientific authority has to be the basis of our future energy policies,” said Mr. Sudirman Said, Indonesia’s Minister of Energy and Mineral Resources, at the opening session of our first collaborative screening workshop in September in Bandung, Java. In the workshop, jointly organized by IIASA and the ministry, we aimed at laying out a plan to establish a new decision support system for the ministry, based on IIASA’s energy systems models such as the renewable energy systems optimization model, BeWhere and the Model for Energy Supply Strategy Alternatives and their General Environmental Impact (MESSAGE). Scientific decision support systems (DSS) are a tangible crystallization of bridging science to policy. A decision support system gathers information and analytical expertise in order to improve the quality of policy making, using feedback and evaluation from previous planning and policy implementation. As a practical approach in dealing with what scientists refer as complex adaptive systems, such DSS should be able to integrate visions of long-term planning with technical details that are important for daily executed policies. Indonesia’s energy sector is a typical example of a highly complex system. Currently, challenges of the sector are more cross-sectoral than ever. Issues that seem to have limited scopes, such as bioenergy, actually influence a broad swath of other areas including agriculture, land use change, air pollution, climate change and social equity. For that reason, the approach we brought to the recent meeting relies on multiple models. BeWhere brings a snapshot perspective to explore energy supply options that best meet the objective set by policy makers, such as cost efficiency or least CO2 emissions, based on location specific energy demand, resource and infrastructure availability. On the other hand, MESSAGE brings a more macroscopic perspective, looking at various scenarios that project optimal solutions of meeting long-term energy demand in a certain region or country. To have a truly systems perspective, the above approach cannot stand alone. 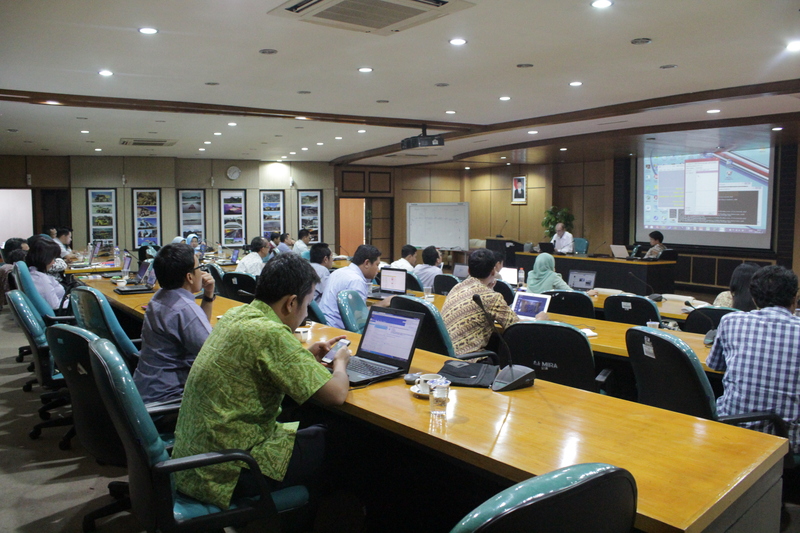 Before we started looking at Indonesia’s energy sector, we had engaged local researchers in the tropics to localize IIASA’s Gobal Biosphere Management Model (GLOBIOM). GLOBIOM is used to analyze the competition for land use between agriculture, forestry, and bioenergy, which are the main land-based production sectors. Clearly, investigating further into the energy system will allow us to grasp a more holistic understanding and develop solutions to tackle challenges in tropical countries. As one of IIASA’s pilot countries in the budding TFI, Indonesia represents conflicting realities of the tropics, which are essential to the planet’s well-being. Tropical forests help regulate the Earth’s climate system, while being home to huge biodiversity, millions of plant and animal species. However, the region is also highly challenged by domestic development needs and the growing consequences of a globalized economy. Abundant natural resources and land-intensive agricultural commodities, together with intensified infiltration of global supply chains and complicated socio-economic structures, have resulted in severe ecological pressures that are harmful to the region as well as the planet. The TFI aspires to address such complexity by applying systems analysis together with regional policymakers. Such application implies a two-fold challenge. The first one is to put together IIASA’s various scientific tools to understand the broader picture that comes out from the integration of interrelated aspects of domestic development. Secondly, working together with policymakers leads to a mutual learning process. Policymakers learn to use scientific models and tools in their decision making process. In this process, fitting the models into the local context is an inevitable step that requires intense communication between scientist and practitioners. Eventually, this process will also benefit researchers by giving them a better understanding of the issue, and opening opportunities for further scientific investigation on new topics.